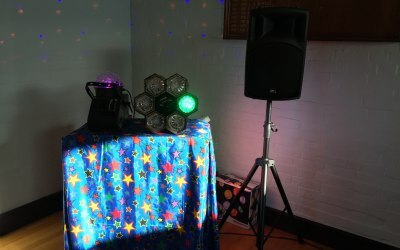 If you're looking for a fun children's party here's where you’ll find it! I am a professional children's entertainer in Reading, Berkshire who provides party entertainment across the county and surrounding areas. Kid's fun is my speciality. 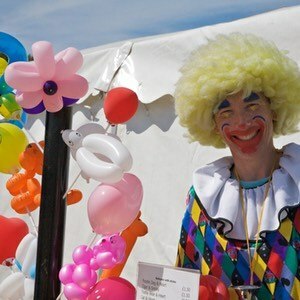 I have had many years of experience entertaining children and am a dad of four myself so know what it takes to keep the kiddies happy! 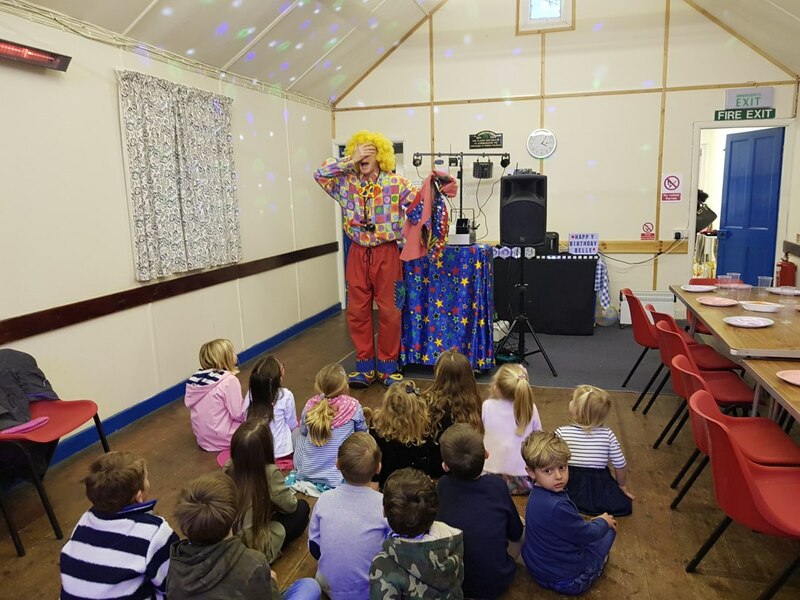 My parties are fun, lively occasions with lots of exciting and amusing magic, games, dancing, music, puppets, colourful balloon animals, hats and swords plus a bubble machine and inevitably, plenty of silly jokes. 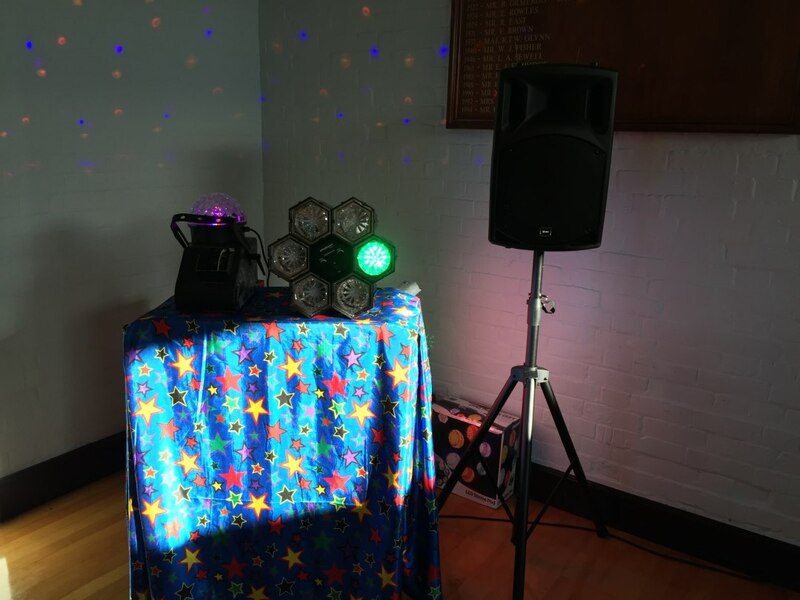 Disco lights are included for my biggest package and you can also add a snow machine to any package for a small extra charge. The children had a good time with him.It kept them busy. 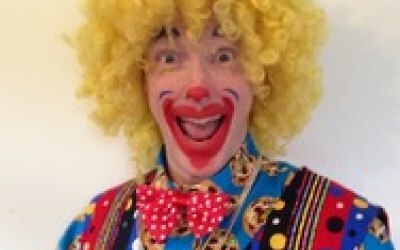 We booked 1hour package from Cookie the Clown and it was very nice. Kids enjoyed through out the hour and he engaged kids very well . They loved his balloons. I definitely recommend him. Dear Padma, Thank you very much for choosing me as your entertainer and for leaving this nice review. I’m so happy that the children enjoyed the show and that you were happy too. All the best, Mark. 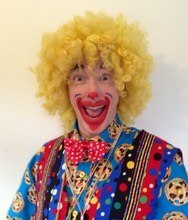 Cookie the Clown is the best entertainer I have ever seen! Friendly and professional. Children (and adults) laughed and enjoyed. Fantastic service! 100% recommended for your event/party. Dear Amparo, Hola! And thank you so much for your lovely review and for choosing me to entertain. It was a pleasure meeting you and I am so happy the children (and adults!) enjoyed themselves. All the best, Mark. Dear Lisa, Thanks very much for your review and for booking me! I’m glad the children enjoyed themselves and nice to meet you and your husband. All the best, Mark. Brilliant would defo reccomend kids found cookie extremely funny and entertaining!! Dear Hayley, Thanks very much for choosing me to entertain and for leaving me a nice review! All the best, Mark. Fantastic, fast communication and arrived on time. Was very welcoming, friendly and kept all the children involved even young non walking children. Children loved the music, dancing, balloons and especially the bubbles. Remembered the children's names and spoke to them using them which was lovely. Came on time and didn't rush out at the end, which was lovely. Thank you so much we will definitely use you again. Dear Rachel, It was really nice meeting you all and great to see the children so happy. Thanks very much for choosing me to entertain and for leaving this really nice review. All the best, Mark. Cookie kept all the children entertained and they were laughing during the entire show. 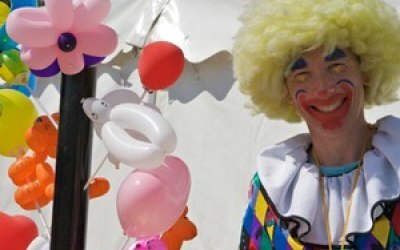 Highly recommend him for any children party!! Dear Monika, Thanks very much for choosing me to entertain and for leaving such a nice review. I’m so glad they enjoyed themselves! All the best, Mark. 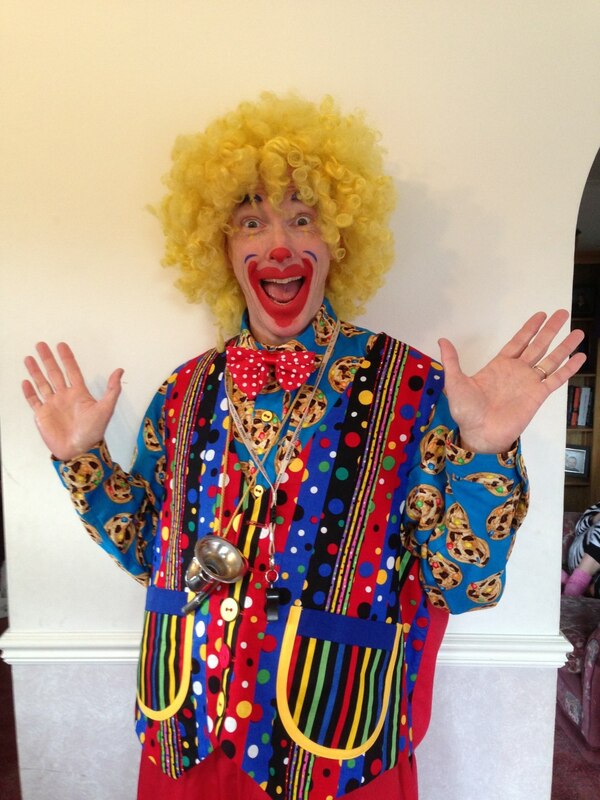 Had cookie the clown for my 6yr old son, kids loved it, I would definitely hire him when my daughters old enough! Dear Tracey, Thank you so much for choosing me to entertain for your son’s party and for leaving this review. Would be great to see you again in the future! All the best, Mark. 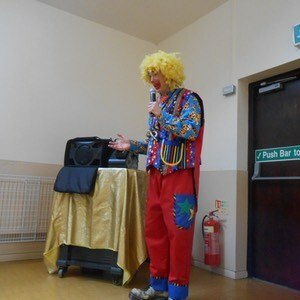 Fantastic service- the kids loved his performance! Extremely happy and I would definitely recommend him to families. Dear Eleni, Thank you very much for leaving me a review and of course for choosing me as your entertainer. It was a pleasure meeting you and entertaining for the children. All the best, Mark. 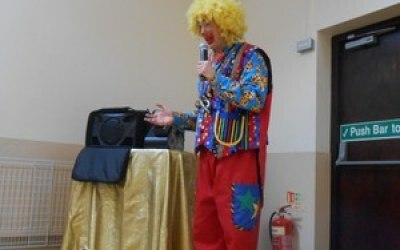 We booked Cookie the Clown for my daughters 6th Birthday party for a 1hr show and he had the children totally engaged the whole time laughing, shouting, jumping and dancing. He had a great props including a bubble machine and snow machine which was real hit with the kids! 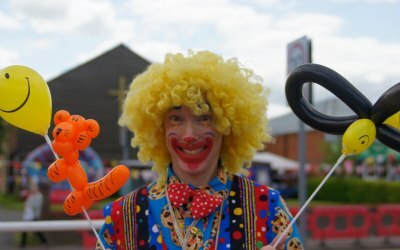 He also gave a balloon model to each child and carried on putting smiles on all their faces. I also have to add that the day of the party we had about 8cm of snow which caused havoc on the roads but Cookie did not cancel, he braved the weather and arrived on time! Dear Will, Thanks very much for choosing me to entertain and leaving such a nice review. I’m so glad you and the children were happy and the party was a success! All the best, Mark. 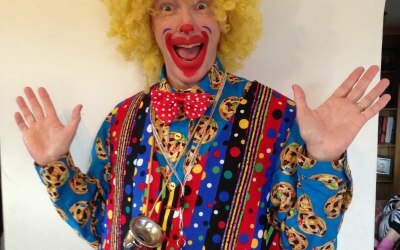 Get quotes from Cookie the Clown and others within hours.